‘I don’t think his intentions are right,’ sister Kourtney says. Khloe Kardashian is finally letting everyone know what she thinks of Tristan Thompson’s cheating scandal. “It is f—ed up. And he’s a complete piece of s—,” she said on last night’s episode of Keeping Up With The Kardashians. She also once again livetweeted the episode, giving fans even more insight into how she feels about her errant baby daddy. Star readers will remember it was revealed that Tristan, 27, cheated on Khloe, 34, just days before she gave birth to True. The previous episode featured that revelation, but the one that aired last night, November 18, finally showed the baby’s arrival and the aftermath. It was the first time Khloe really opened up about the betrayal. Click through the gallery for all the info — and to find out why Kim, Kourtney, and Kris Jenner doubted Tristan’s apologies. “I want this for me and my daughter, and for him, at the end of the day,” she said, willing to put his infidelity aside for now for True’s sake. Kim, Kourtney, and Kris all flew out to Cleveland to be by her side, and they had an awkward showdown with Tristan that was seen on camera. The Good American designer also told Kim that Tristan was mad at her and thought she was an “instigator.” This set Kim off. “I don’t think his intentions are right. I don’t think he’s going to change,” Kourtney said, though she sympathized with Khloe, having gone through similar fights with her children’s father, Scott Disick. On Twitter last night, Khloe clearly took her sisters’ side. “He chose to make this so public sooooo what does he expect,” she tweeted. 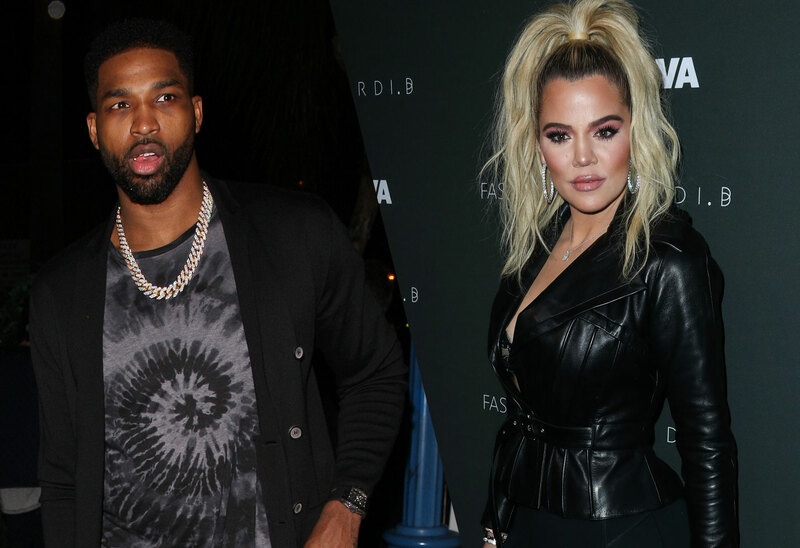 Are you surprised that Khloe called Tristan a ‘piece of s—t?’ Sound off in the comments!